Rhode Island-based Citizens Bank is partnering with Bottomline Technologies to unleash a brand spanking new online and mobile banking platform for its commercial and business banking clients. The new digital banking platform offers a suite of cash management and payment services. The application features simplified transactions; integrated payment workflows; user personalisation with self-service capabilities; and fraud and security controls. It also uses open Platform-as-a-Service technology. 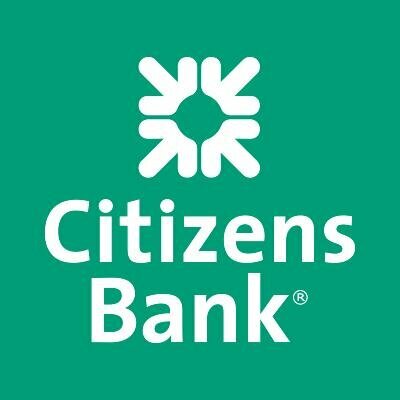 Michael Cummins, head of treasury solutions at Citizens Bank, says it is “the latest in a series of significant investments we are making in our product offerings”. The bank says its clients are scheduled to begin migrating to the new platform in the second half of 2018. Citizens, which was a wholly owned subsidiary of the UK’s RBS from 1998 to 2015, is the 13th largest bank in the US. It has 1,200+ branches across 11 states and employs nearly 18,000 people. Last year, the bank was planning a core banking modernisation and to implement a new mobile platform and middleware layer. The project was to be executed in partnership with FIS – its current core banking system vendor. The bank is using FIS’s Systematics. The bank has a diverse range of systems on its hands. It revamped its treasury and capital markets (TCM) software with Calypso Technology. Banking Technology understands this entails the replacement of Wall Street Systems’ Wallstreet FX that had been running at the bank since 2004. For trade finance, Citizens is a long-standing user of the Banktrade system supplied by Complex Systems Inc (CSI). In 2015, Citizens announced it was moving its back-end technology infrastructure to a managed services environment following the signing of a five-year IT services agreement with IBM. UK-based banking services challenger Ffrees Fiamily Finance has launched a new “digital agency banking solution” – U Account. The account is supported by Wirecard, Global Processing Services (GPS) and payments software vendor Bottomline Technologies. UK challenger bank Starling talks about finding its niche and how it intends to prosper in an increasingly competitive space – all in preparation for its 2017 launch. Ten years ago business-to-business payment options were pretty limited: cheques dominated, and organisations only had the option of 3-day BACS payments or expensive CHAPS transactions for high value, same day payments. SigFig unveils CoPilot, a digital wealth management platform for financial advisors. IBM, Hyperledger and Bottomline are among Visa's new partners for B2B Connect. A banking start-up with the rules of having no paper and no fees. It is providing tech solutions for more than 1,100 US branches.